In this episode John Denton talks about his aviation experiences, from the days when he flew in the Royal New Zealand Air Force and later with Air New Zealand, and with New Zealand Warbirds Association. John trained in the RNZAF on North American Harvards and de Havilland Devons, and then went on to serve with No. 14 Squadron (Harvards and Devons), No. 41 Squadron (Bristol Freighters), No. 40 Squadron (Douglas DC6’s and Handley Page Hastings), and No. 42 Squadron (Douglas C-47 Dakotas, Devons, etc). He also became an instructor and spent a period with Pilot Training Squadron teaching new pilots to fly Harvards and Devons. Next he converted to the Vampire jets and served with No. 75 Squadron at Ohakea. He was selected to go to Vietnam in 1970 where he converted to the North American Rockwell OV-10 Bronco, serving at the US Army’s Củ Chi Base Camp, and later at the US Marine Corp’s Chu Lai Air Base. Following his six month tour of duty in Vietnam, John returned to Ohakea, where he converted to the new McDonnell Douglas A-4K Skyhawks, and was soon posted back to No 14 Squadron where he was instructing pilots on the Skyhawk. In 1973 John left the Air Force and joined Air New Zealand, where he started flying the Douglas DC8. He graduated to the McDonnell Douglas DC10, and the Boeing 747-200. He became one of the first Air New Zealand pilots to convert to the Boeing 747-400, undertaking a course in Amsterdam and then training the crews for the new type. 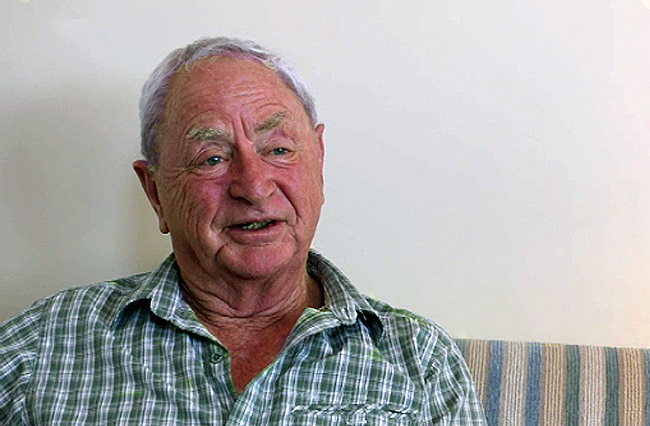 John was also one of the original pilots with New Zealand Warbirds Association. He was in the original syndicate for NZ1098 ZK-ENJ, and was part of the Roaring Forties display team. He also became one of the pilots of the first de Havilland Venom, ZK-VNM, and he was checked out in the original T-28 Trojan.